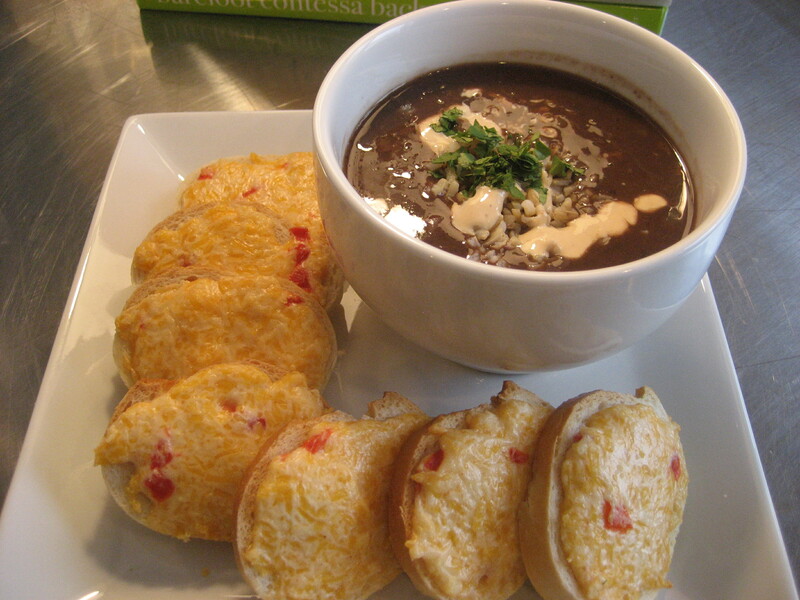 The first time I ever had black bean soup was in Puerto Rico. 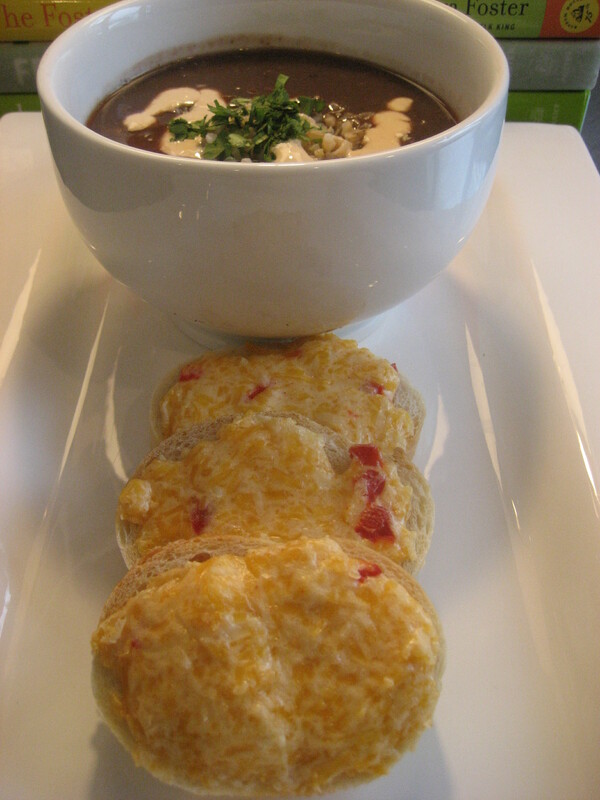 That set the bar pretty high as far as black beans soups go. It was the most exotic thing I had ever eaten. It had a subtle heat, served with a side of rice and a delicious pineapple salsa. So while enjoying my new-found love of black beans, my sister was honing her skills as a card shark and gambler. Sister was a marvel at poker and relentless at the blackjack table. She would come running up with buckets of money flaunting her skills. As we strolled through the casino one afternoon, she asked me for a quarter and I did what any good sister would do. So the quarter changed hands and into the slot it went. There it was, that secret talent. She won the $500 jackpot then turned to me and flipped the quarter back into my hand and said ”thanks for letting me borrow that quarter”. Heat oil over medium-high heat in a large soup pot. Saute onions, carrots and celery for 5 minutes or until tender. Add garlic and cook for a minute more. 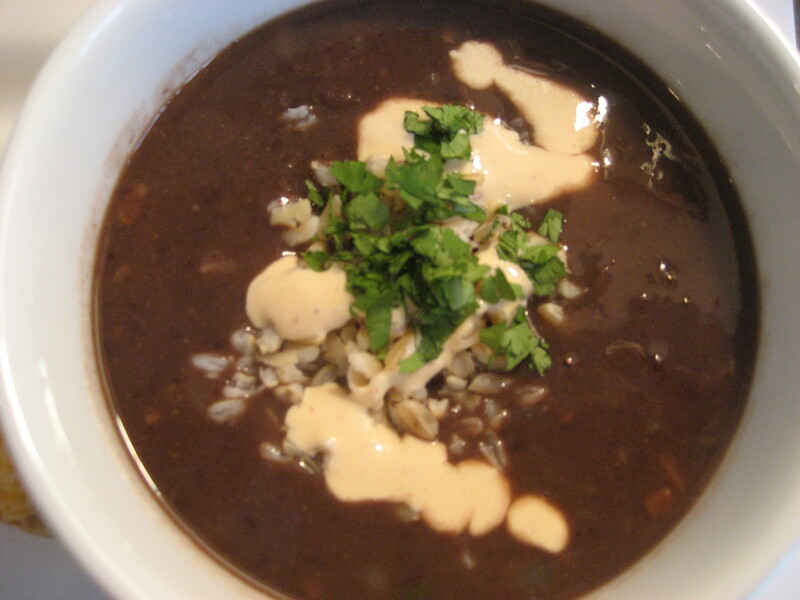 Reduce heat and add pureed black beans and whole black beans. Stir in spices and combine well with bean mixture. Add in chicken broth, stir well. Simmer for 30 minutes before serving. Put ingredients in a blender or food processor and blend until smooth. Chill before serving. 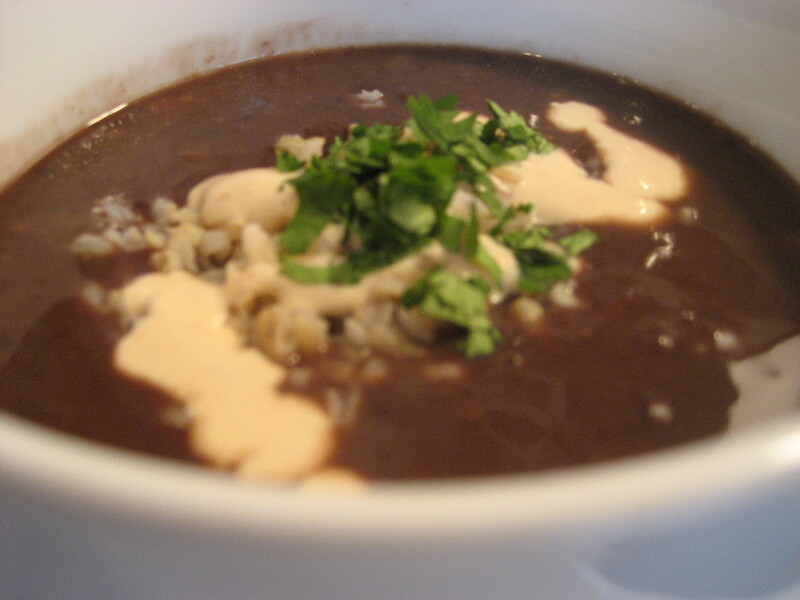 Serve soup with a scoop of brown rice, a drizzle of chipotle cream and chopped cilanto. I am picky about salsa. The best jarred salsa I have found is called Texas-Texas and can be found at The Fresh Market. This soup gets better with age. I usually make it a day ahead, store in fridge and then reheat before serving. This entry was posted in Soups and tagged black beans, chipotle, cilantro, cooking, Food, greek yogurt, salsa, soup, stew, The Fresh Market on January 28, 2011 by lolleigh. Think I will try this dish this weekend. What are the “round” things on the plate with the soup bowl? Stayed tuned tomorrow for Pimento Cheese! The soup is really good, you could probably put it in a crock pot. This is an excellent recipe with a very authentic taste. You’d never know that its super easy to make. The chipotle cream is sooo good! I was fortunate enough to taste it and it was authentic Puerto Rican food right here in little old Columbus, Ohio! Thanks so much! 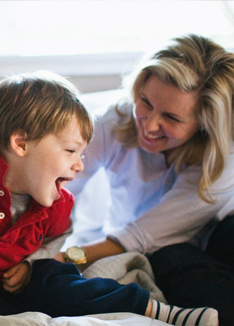 Glad you liked it – you’re welcome anytime for taste-testing!